Business management is a field that’s always going to be there. The main role of these professionals is overseeing the administrative responsibilities of a company. Additionally, in most cases, they also need skills in accounting, marketing and handling managerial procedures. Here are 10 of the top business management careers for anyone aspiring to take on a leadership position, along with some of the education requirements and skills you’ll need to get there. The main role of a finance manager is monitoring and giving advice on the fiscal trends of a company. They also work closely with other key stakeholders within the business to ensure prudent spending of resources, and that expenditure conforms with the strategic plan. Typically, for you to qualify as a finance manager, you require a business degree in accounting or finance. The function of a sales manager is running the sales department of a company. In retail businesses, they may also be referred to as retail managers. This expert provides sales consultation, instruction, leadership and mentoring to those in the marketing section of an organisation. They may also hire employees in sales and help to develop effective sales strategies for the business. This role is mainly given to an IT professional whose risen to an administrative position within the company. They usually make decisions about the creation and maintenance of business software and information structures, as well as help in procuring ICT services, and recruitment and training of support staff. Generally, this professional should have vast knowledge on how to fulfill the IT needs of a company. 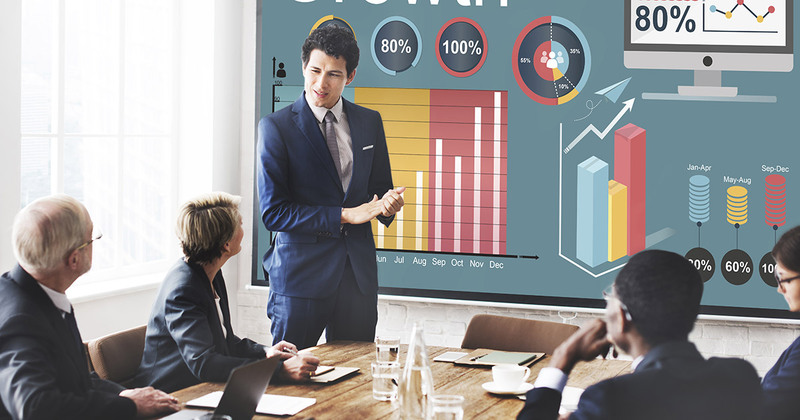 A Business Development Manager is charged with the responsibility of growing an existing business, particularly by looking for new clients and identifying growth and brand promotion opportunities. In this job, salesmanship and business development skills are key components, plus you may also need to have a deep understanding of how the industry works and develop personal connections with other players. Product Managers are charged with ensuring the success of a product-line that’s been launched into the market. They help in maximising the profits of a product by checking that it’s produced to the highest quality standards, which meet both the industry requirements and customer needs. To succeed in this career, you should have business acumen and technical skills as well. A team leader provides direction and supervision to various departments within the organization, and is usually under the watch of a general manager. The role of a team leader in a business depends on how large the staff is and the amount of supervision needed. In places where management duties are heavy, they may take up functions such as task delegation, staff development and quality control. Industries such as construction, building and facilities create various types of construction management jobs. To succeed in this career, you’ll require technical knowledge as well as business management aptitude in communication, accounts and even leadership. You may be given the role of overseeing construction / engineering projects, properties, facilities like schools or hospices, and even design projects. A General Manager holds the position of determining the strategic direction of a company and providing leadership. They usually don’t get involved in day-to-day decision making since they delegate such tasks to their juniors. The best thing about General Manager positions is that the skills are transferable, meaning you can easily cross from one industry to another and still remain relevant. An MBA is a highly relevant qualification. Usually, an entrepreneur starts a business venture from scratch and labours towards seeing its growth and success. They oversee the development of their startups, making all sorts of decisions about how the business can grow, such as who to partner with, where to get funding, hiring of employees and so on. 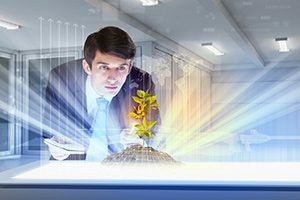 Operations Managers are mainly involved in daily business activities that ensure smooth flow and coherence within the organisation. They may oversee the production process, delivery of service, or the running of a facility like a theme-park. While you’ll require a deep understanding of the industry in order to succeed as an operations manager, other qualities such as self drive, passion for the job, leadership and good rapport with the staff are also important. Getting employment upon graduation can be difficult if you lack applied skills to make it in the business world of today. Most marketing schools still emphasize teaching students about the most fundamental elements of marketing, such as the Four P’s (product, placement, price, promotion). Although these concepts are still valid, the techniques needed for successful marketing have evolved. As well the things marketing schools teach, here are some important competencies that marketing schools should be teaching (but generally don’t). In today’s digital world, content and social media marketing are the pillars of success for any business. Unfortunately, there is no coursework on content and social media marketing skills being taught in marketing schools. This is because most marketing schools view it as a subsidiary to other tactics. Although there may be some truth in that statement, content is the center of today’s marketing universe. Hence, all other marketing tactics should spawn from the various formats of that content. For a business to attract and nurture prospects, leads and current clients, it should begin with creating fresh and valuable content that conveys its brand’s core messages to prompt interactions from its prospects. They can use social media platforms to have the content shared across a larger spectrum of potential clients. Marketing schools do not teach their students the importance of building a real rapport with their customers. Today, relationships are essential to any successful business. Marketers are expected to go beyond just marketing their products, but the design and develop products aimed at meeting customer needs. The relationships marketers build with their prospects and clients’ help them map out what those needs are. Other than that, today’s consumers require continuous interactions to keep them engaged. They do not sit around to wait for the next campaign to buy a product. Instead, they leverage Google, social media, and other online channels to research products, review them, launch complaints and solicit recommendations. Hence, is it imperative that you create relationships to influence your loyal customer’s buying habits? Further reading: relationship strategy. Marketing schools do not teach its students the importance of networking in business. The students are taught how to mingle and get to know other people but are not taught how to use these networks to their advantage. They are not taught how and why to network the right way. It is important that business schools train these students on just how critical business and professional networking is to the success of business from different angles. Marketing schools should also take the time to teach their students how to operate in the evolving world of search engine marketing. A good website needs to be optimized for search engines and local SEO where applicable. Hence, marketing schools should have SEO as a course in their marketing curriculum. It should cover areas where SEO could help companies enhance their visibility online, where much of today’s shopping happens. Also, since the content is King, there should be a school curriculum that teaches the students how to write for the web. This will help marketers know how to create scan-able content for websites. Today, every marketing decision is based on data. Unfortunately, marketing schools do not have lessons about the technology of analytics, which is vital to any business’ success. Analytics can display customer journey cycle. It can show you their awareness of your products, consideration, conversion, and advocacy. Analytics tie all these channels together to give you a detailed customer journey cycle. Analytics help businesses understand how well their campaigns and websites are performing. Hence, the company can identify which programs are working and which ones are not. It aids in decision-making and also helps marketers identify weak spots to their marketing efforts, helping them to better analyze and act upon the errors. Since content marketing is an important aspect of business marketing, so is basic design and coding for marketers. Unfortunately, marketing schools do not have lessons on base level HTML. A successful marketer should be able to create a website or a landing page for their online marketing. Marketing schools should at least, offer a starter-level understanding of design principles and HTML to help their students be able to execute content marketing from the get go. Fully online Bachelor of Business degrees offer you the chance to study whatever business major you’re interested in. The online study option gives you tremendous convenience and flexibility. At the same time, you have access to learning materials that allow you to become knowledgeable and proficient in your chosen study area. Some of the most popular online Bachelor of Business majors are Accounting, Economics, Business Administration and International Business. But these are only a few of the wide variety of majors available, via the internet, from a vast selection of colleges and universities. As a major, common careers associated with Accounting are Accountant, Corporate Financial Officer, Financial Analyst and Budget Analyst. With a number of programs offered online, the field of Accounting continues to offer many traditional roles in the workplace. As well as those commonly recognized occupations, more innovative types of careers, driven through emphasis on more accurate and specific procedures for reporting and analyzing, are increasing in demand. With most programs closely mirroring the traditional classroom curriculum, with respect to required courses, the flexibility for those currently involved in accounting related fields wishing to complete a degree is on the rise. Mathematical ability is a perfect skill-set for those interested in this major. Top careers involving Economics as a major include banking and government related positions involving the thinking processes behind theories of economics. Research analysts, who rely on strong background in economic theories and the inter-workings of economic systems, are a prime example of potential job titles. Banking and Financial Service Analysts and Auditing as well as Finance related consulting and Statistics are also common choices for the Bachelor’s program. Problem solving and strong mathematical skills are a plus for most wishing to venture into the field of Economics. For this more “broad based” area of study, for which the top degree is an MBA, occupations vary widely. Careers often include retail management options, administration options, retail entry level, marketing and many entry level occupations requiring a basic overall concept of business practices and relationships required to conduct business on a daily basis. Those wishing to develop their own business are a natural fit for the Administration major, due to the necessity to understand general aspects of commonly conducted business procedures and practices. Entrepreneurial types needing a strong foundation on which to custom build their own company find this major a natural match. Organizational skill-sets are considered to be a help with studies in this major. With a major in International Business, job options will mostly be in the areas of the relationships of people and natural resources with respect to the international communities. In other words, most general aspects of business conducted in an international format. Financial Analysts who may specialize in various currencies are one avenue for the major while most aspects of production, the economy as well as finance will fit through the category of international focus. Government jobs centering on multi-national interaction, currency exchanges, even the broad-stroke categories of business administration, with an international twist, would be a comfortable starting position for those from this major. Organizational skills and any specialized mathematical and accounting focus designed to cover different countries and their interactions would be most helpful. Although it may cost more to earn an online business degree from a commonly known and recognizably accredited organization, the barriers it will overcome are often worth it. Unfortunately, for some lesser known online programs which are actually accepted by experts as some of the best, the smart money from most hiring businesses seems to remain on the names they can easily verify as trusted. Sadly, the best credentials may be a matter of being only those which are more popular and widely known by those scanning through resume’s and job applications. As opposed to studying and earning a degree which carries limited endorsement, which may only help with the career seeking cause in a minor way, when the brand is comfortable and familiar, as with everything in society, a level of conformity is awarded. If a potential employer requires extra time researching the academic credentials of a job candidate, the applicant has established their case for hire as a “higher maintenance” potential employee. Unfortunately many candidate sorters may have lost the romance for identifying uniquely educated individuals after only a few thousand names into their careers as talent hunters. In truth that position has evolved into more of a “easy grab” than a “hunt” based on numerous available job candidates with extremely popular prestigious degrees. When it comes to the selection process of virtually all reliable employers, ease of verification is crucial in gaining the competitive edge. With so many people seeking employment for top positions, and fewer quality jobs open a hiring manager or firm will customarily try and “short stack” the list of applicants. Those lesser known educational “brands” will more often than not end up in the pile of paper not usually associated with “main stream” education. In a technical society driven by ease due to invention, where “less is more”, this is the exception to the rule. More means more when it comes to academic credentials. There are many choices when it comes to online Bachelor of Business Majors and greater flexibility than ever before (Just Business Today). Some of the options may seem “to good to be true”, and for the most part those are the ones which are the least recognizable and lowest accredited in many cases. There are, of course exceptions to the rule and some of the lesser known programs are “stand outs”, which have not fully been celebrated based on their merit and remain a victim of their lack of popularity. If these online options where in business and operating with a voice to express their disgust for being overlooked their motto would without question be “it is not what you know but who you know”, reflecting their stereotypical dilemma of being more “trendy” than trend. For those who are already employed in a position in which they feel secure and adding an online business degree is only a matter of checking a box on a “to do” list for their employer, then virtually any piece of paper acceptable to fill the bill will suffice. The key to deciding whether to try and increase long term marketability, planning for the worst by preparing the best, would be simply a matter of comfort with the current employment situation. As with most areas in the business world, the only constant is considered to be change, and planning accordingly might be a logical decision. As with every segment in life, there are those who have their potential challenged by simply maintaining the status quo and others who feel the desire to excel through an innate drive for learning. For those experiencing a genuine thirst for knowledge, there is no substitute for systematically deciding which online courses would provide the best experience and the highest level of challenge. Even though it may be the hardest choice to take the most challenging online courses, those who are driven by personal achievement and overall self improvement will always take the path less traveled. The true thirst for knowledge is not normally an acquired taste, but rather one which burns deeply from within. Online learning sites allow you to upgrade your skills in a convenient way. There are now many online learning sites which offer helpful information and where you can enroll to access study materials. The platforms cover almost all fields of study imaginable. Even if you are employed in a workplace where you are often busy, you can fit online studies into whatever spare time arises. Many universities and colleges provide online degree programs directly. Finding out which program is the best for you can be a challenge because of the number of providers. That’s where aggregation sites, such as OnlineStudyAustralia.com and OnlineStudyAmerica.com, are useful. They select and present the best degree courses available across the university system. Here is a selection of the top 10 platforms for online study. Collectively, they provide a strong set of options for free or cheap online learning. If online learning is for you, these are some good options. Coursera offers a wide variety of courses. It has partnered with major universities all over the world to provide quality education. There is a specialization program where an individual can take up to 10 courses which can eventually lead to certification from an associated university. This makes it easy for those wanting to access advanced education online. Lynda has a subscription-based video library among other learning resources. It is a great resource for visual learners. The video course costs only $25 per month but is packed with useful content. Upon subscribing, members can access more than 80,000 learning videos, covering many different subjects. Udemy adds more than 800 new courses to their platform each month. This makes it among top online learning resources. It offers courses ranging from $10 to $500. You are the one who decides on the type of course you enroll for. The Udacity platform focuses more on technology courses. If you would like to excel in data science, you will interact with able tutors from Google and Sales Force on the platform. The platform allows you to pay on a monthly basis as you study your chosen course. If you drop a course at a given point, you will be free to pay up to the level where you left. Khan is a nonprofit making platform which offers a free library online. There are also micro lectures which you can take advantage of. It offers learning materials in math, economics, science, humanities and compute programming. You can take advantage of the free resource before you move to an advanced course where you will have to pay. Codecademy is available for free. It is mainly dedicated to teaching people on how to code. It helps learners to keep a fast pace while learning through supportive categories. The site offers courses in a number of languages which include PHP, Ruby and Python. Students are able to deploy projects upon completion of courses. Bloc is a learning platform which focuses in web development. It offers courses starting from $4,250. The courses are taught on schedules of 25 hours per week. If you are committed to a career change, it is a great course. iversity is an open, Berlin-based platform which has partnered with most European international universities. It offers academic courses for free. Skillshare offers a wide range of subjects for learners to choose from. You can take classes without membership. The classes start from $20 to $30 each. They are taught by industry leaders. Membership starts from $9.95 per month. Members access 20% discount on all classes. General Assembly focuses on education in business, design and technology. You can access online classes as well as in person. It even live-streams live lectures for learners for a more interactive study experience. Earning an online degree is the perfect way for working adults to pursue higher aspirations in the competitive job market with tremendous flexibility. Based on industry growth statistics and occupations offering job security, here are the ten most popular online degrees at the moment. Business Administration is easily the most popular online degree program. This is so because it prepares individuals for any management position. Often, those who undertake this online degree double-major. This enables you to specialize on a specific area such as finance. Business Administration is especially popular at the masters / postgraduate level, with many doing online MBAs using open learning platforms (Activate Press). Engineering degrees are always popular. The major fields include civil, chemical, industrial, electrical and general construction. Problems solved by engineers are largely technical. It is among the best paying careers and courses are offered at institutions held with high regard. Career opportunities are wide, extending beyond just engineering because the degree demonstrates mathematical and analytical skills (Fu Foundation). With growing competition for products and services, business must maintain a sharp marketing edge. The main goal of marketers is to attract clients/customers in large numbers. Traditional print and contemporary multimedia outlets are used to achieve this through creativity. Brochures and attractive displays constitute part of the broader marketing spectrum. Private and government institutions alike rely on accountants to ensure proper handling of finances. As a primary objective, accountants should ensure the compliance of the business with fiscal regulations and laws. Filing of taxes is also a critical role. An online degree or associates degree (AS) in accounting is a sure guarantee of job security no matter your specific career path. 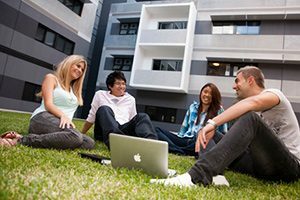 Australia is a haven for international students. 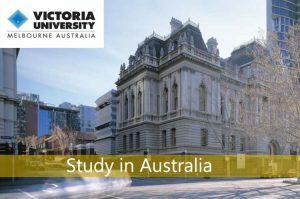 Studying Down Under is popular among students who want to experience adventure and travel, learn English and study in a different setting. Studying abroad allows students to open their minds to new ideas, cultures and lifestyles over a semester or a whole year. Australia is a country of red deserts, multicultural cities and endless beaches with friendly people who come from all over the world. It offers an ideal setting to meet new friends and have lifelong learning experiences. We could make a list of thousands of reasons why we love this country, and the reasons why Australia should be your first choice to pack your bags and embark on an adventure across the world. The student visa allows the youngsters to study and work at the same time. This is a huge advantage when choosing a destination for study abroad. In Australia, international students have the opportunity to work part-time (20 hours per week) during periods of study and full-time (40 hours) during the holiday season. Also, if you have not yet attained the age 31 years, you can request the Working Holidays Visa, which will allow you to spend a year working in Australia (but subject to certain conditions). The quality of life in Australia is recognized as one of the best in the world. The main cities of the country are among the top 10 cities in terms of quality of life indexes (Student Cities Australia). According to a recent study by the United Nations, Australia is the second place in the world for quality of life, reflecting qualities such as good education, public health, and safety. The quality of education in Australia is rated among the best in the world and it is quite flexible to adjust with, based on your requirements, so you can balance between the best of work and school. Australia is a world leader in higher education (with several world top 100 universities according to Uni Reviews) as well as having a strong vocational training sector. The education system has an international reputation for excellence and offers a wide range of courses for students. Australia also makes special considerations for international students to ensure they receive a quality learning experience and have access to all student services through the Educational Services for Students Abroad Act. Undergraduate (bachelor-degree) programs: generally of 3 years, though with some exceptions such as 4-year professional degrees (in law, teaching and nursing). Postgraduate (masters) programs: graduate studies have different lengths, though the standard for a masters degree is 1.5 years. Australia is about the same size as the continental United States, and students have many trips and tours to consider when the university is not in session. You can choose among adventure travel, parachuting, wine tasting, scuba diving and snorkeling at the Great Barrier Reef, and relaxing in one of the beaches of Australia. Cheap airfare is easy to find for domestic flights across the country, and travel destinations such as New Zealand, Fiji, and other countries in the South Pacific and Asia are never too far from major Australian cities. Though the system is much smaller than in the US, Australian universities often make available to students from abroad grants and scholarships. The Australian government announces annual international scholarships within the program Endeavour Awards. Eligibility to apply depends on the type of course. There are general rules, for some it is required a certain score in the TOEFL, for some that are coming from certain countries, universities ask for a high GPA (a high average rating). Another advantage is that you will have the opportunity to meet people from every nation. This is because Australia is the best destination for students and here’s why your classmates may be French, Italian, Chinese, Korean, Vietnamese, Brazilians, Chileans, Peruvians, US or Canadian (just to mention a few). Being in contact with other cultures enriches you as a person and can help you if one day you want to work for the multinationals. You can make native friends and learn English at the same time. This is the best way to learn English and improve pronunciation and grammar. If you opt for a professional or university course your English level must be high, but with time and practice, you can easily reach that level. When you have finished your university studies, you will be able to apply for a Graduate Visa, which allows you to gain experience in the work field. It is important to take into account the fact that the legal working hours are 20 hours per week (40 hours every two weeks). The decision of going for higher studies is often rooted in one’s desire for self-actualization while learning valuable skills that would open multiple avenues of finding meaningful work. Whenever you choose to undertake an MBA program, you will not only be extending your expertise in the current field to get promotion in your job, but also increase the likelihood of starting your own venture. When you start seeing yourself as a leader, that’s the time when you should start thinking about going to a professional Business School to give your career the boost it needs. What are the other reasons for seeking MBA? Read on to find out. Classes of MBA programs concentrate on advanced level business ethics and specific areas that will prepare you to take on the challenge of filling an executive level role. In addition to developing leadership skills, you’ll also gain specialized knowledge on a certain niche that will make you indispensable in the job market (Good MBA). College is just not for advanced education but also the place to make great friends. In college campuses, you’ll meet new and influential people that are like minded and are focusing towards the same goal as you (UniCurve). The days you spend interacting with other people (networking) on your campus might make a huge difference later in your career as they may be your business partner or client. Your MBA class will comprise of students from different countries, backgrounds, and ethnicity that will equip you with the experience to blend in seamlessly with many global cultures. The interaction will expand your horizons and make you a complete person. MBA studies launch you into the fast track to executive level roles. This would be impossible if you do not have the proper degree to show for the experience and skills you have gained in your business school. As the job market is getting increasingly competitive, there is no lack of students flaunting their degrees to get ahead of the competition. Having an MBA degree will open up chances to more interviews and greater opportunities that you would get by just having an undergraduate degree (Globe University). Theoretical lessons aside, an MBA program will prepare you to manage business problems better. You’ll get hands-on experience in group coordination to complete a single task of a business school project, which is itself a great experience that can serve you in real life. This Masters level academic program prepares you to become an excellent communicator. You generally would have to produce reports for each subject as well as participate in group discussions on a regular basis. This curriculum would prepare you for the outside world where you’d be responsible for drafting policies and handling clients. Business School is the perfect place to reflect upon your strengths and weaknesses and find out what is your life’s true calling (Harvard). You’d be amazed to find the things you are good at, which you never knew. You’ll also get opportunities to invest your skills in meaningful tasks and receive feedback that will allow you to grow to your full potential. Australia is known for having a good university system which attracts international students from around the world. Here is my list of the top 5 Australian universities in terms of international reputation. For a fuller list of unis, see AustralianUniversities.click. ANU is a national research university situated in Canberra, Australia’s capital. ANU’s main campus in the inner-city suburb of Acton comprises of 7 teaching as well as research colleges, and a number of national academies and institutes. ANU is regularly ranked among the top universities in the world. It is ranked number 19 among top world’s universities and number 1 among Australia’s top universities (Cube Rankings). ANU’s faculty and alumni comprise of six Nobel laureates. It has so far produced 2 prime ministers in addition to 30 current Australian ambassadors as well as a number of Australian government department heads. ANU is highly regarded for its linguistics, politics, science and geography courses. UniMelb has been ranked 33rd in the world by Times Higher Education. On the other hand, according to the 2015 QS World University Subject Rankings, the institution has been ranked 5th for education in the world, 8th in law, 13th in arts and humanities, and 13th in computer science and IT. It is ranked 2nd among top Universities in Australia. The University of Sydney is a public research university located in a central part of Sydney, Australia. Founded in 1850, the university has been ranked among the top universities in Australia. QS World University ranking places it at number 45 in the world. The institution is highly regarded for its law, business, arts, and medicine courses. The QS World University Rankings 2016 ranked it 9th in education, 17th in medicine, 11th in law, and 18th in accounting and finance internationally. The University of Sydney offers bachelor, master, as well as doctoral degrees through its 16 faculties as well as schools. Established in 1949, UNSW is famous for graduate quality and a commitment to new as well as creative education and research approaches. 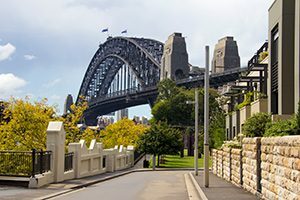 Situated in the eastern Sydney Suburbs, the university happens to be a destination of choice for both Australian and the world’s brightest students. The institution maintains a strong tie with industry and business and regularly performs at the top within the Australian Research Council Industry Linkage Scholarships. Its expertise is often sought after by the government and businesses for various consultancy as well as training services. It is number 4 among the top Universities in Australia. UQ is a leading teaching as well as a research institution in Australia. It is ranked among the top universities in the country. In addition, it has been ranked among the top 100 universities in the world by the Times Higher Education rankings. The institution is an innovator in discovery and traditional research across various disciplines, including bioscience and nanotechnology, engineering, mining, humanities and social sciences. For over a century now, the university of Queensland has been teaching individuals to create some change for a better world. It focuses much on teaching excellence. As a result, it has come to win more Teaching and Learning Council awards in Australia than any other institution. It attracts the highest academic achievers in Queensland as well as students from other states and overseas.